It’s time to ROOT down so we can RISE up. to nourish your WHOLE self? You give so much, what if you took time to come home to yourself, even for just a week? You are invited to this benevolent space of curiosity. to fill your cup, let nature rejuvenate you and experience more moments of falling in love with yourself, your body, your life. You are invited to experience a restful and playful week as unique as you. Transformation and healing happens every time women gather to witness and be witnessed. Transformation and evolution happens when we remember the elements of our truest nature and fall in love with our precious bodies. There is wisdom in our bodies & in the Earth. There is wisdom within the 5 elements of Earth, Metal, Water, Wood and Fire that exist within each and every one of us. There is a wisdom in the aliveness of in-person experiences. Haramara invites us to listen within. I’m calling together a community of women to live fully. The world needs women that are vibrant & nourished, centered & curious, embodied & response-able. We cannot wait for life to slow down, we have to choose it. We cannot find our center by looking out, we have to take time to look within. Haramara holds us in our inquiry. Personal Retreat is one way to bring our hearts and minds into resonance and explore what it means to be personally responsible in this life. When we gather with such intentions, our collective vision for a better world and the next right action is revealed. What I know as a doctor and a woman on my own journey, is that we must start with our relationship to ourself and our own bodies first for real change to occur. We must slow down enough to know what this means. This week will give you just that. "Amazing doesn't even come close to describing this week. This experience was ground breaking for me and so touching. I feel held and LOVED and heard. I had no idea what to expect and it was more than I ever could have imagined. I feel like I've found my voice and MYSELF a little bit more. Our time together will be juicy! 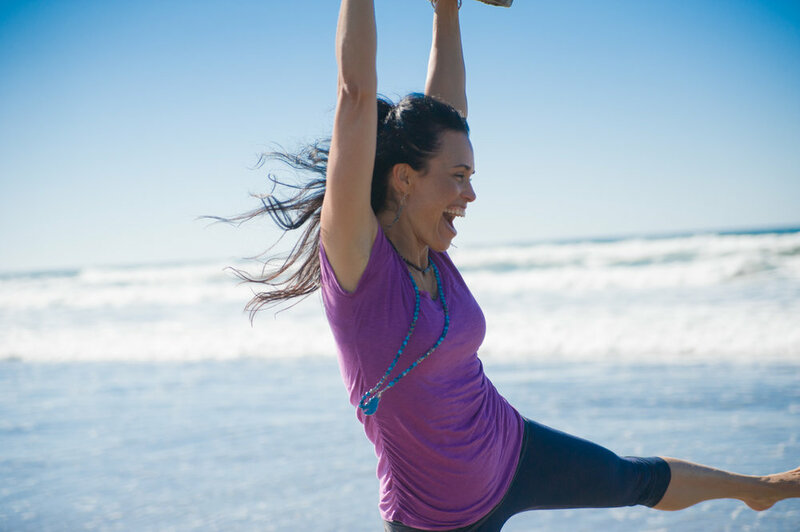 What if giving yourself an opportunity to slow down, nourish your body and connect with something deeper in side your own heart is the one next step to living your life from a grounded, CALM and centered place? This experience will fill you up. We all DESERVE to feel healthy, radiant and whole, as nature designed us. I have created special pricing, if you are curious and want to know more, let’s connect! Room options: As of January 10th, 2019 there are a few spaces in the Casa Grande, a beautiful large shared casita with 8 twin beds and 2 large bathrooms to share. Payment in full is encouraged. But you may pay half upon our conversation if you are a yes. Final payment is due in full by Dec. 31st, 2018. Sign ups will be taken until we are full or until Feb. 11th, 2019. Please send your inquiry to: drracheleppinga@gmail.com with subject “Haramara Retreat”, or schedule a chat below. if you’d like more information and to find out if this experience is just what you’ve been waiting for! I will be talking with all participants in person with the intention to create the best experience possible for you. What if our wholeness and embodying our worth depends on finding our way home to our own hearts together? Worth is another way of saying 'plenty'. It's knowing I AM ENOUGH; in all of my expressions. There is magic that happens on Retreat. Breath taking sunrises and sunsets that teach us how to TRUST the moment. Resting in your open air casita with ocean waves crashing below, OR by the infinity pool with little to do but breathe, nap or dive into a good book. Nourishing yourself with whole food, a special cacao ceremony and real connection with like-hearted women. RESTORE by unconditionally loving whatever arises. Together we will rest, dance, play, intuitively allow what Haramara has to offer us. Together we will REMEMBER what is most important. I’ve witnessed the rejuvenation that happens while at Haramara and now I wish to offer the same gift to you. IT’S OK TO REST & receive. It’s requested by our truest nature. If your heart is singing YES...breathe that in, listen and contact me HERE. I am connecting with everyone to provide the best experience possible. our connection to nature, to our true nature. This space will hold your remembering. ...to invite in new perspectives, to open new eyes of grander vision and feel all the "feels" so we can resolve the things holding us back from our fullest vitality. Going on personal Retreat is one beautiful way to immerse ourselves in the practice of simply being. Besides, who doesn't love a tropical "get away"?! 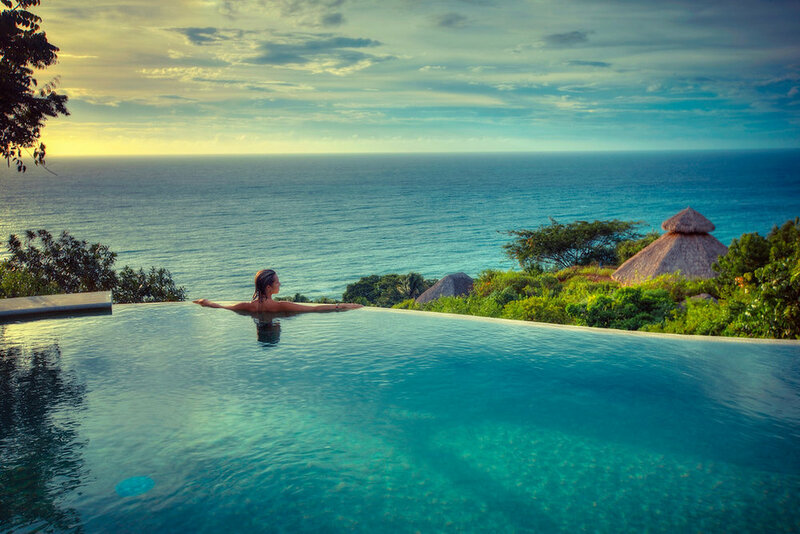 This will be a true vacation FROM your busy, full, already beautiful, yet demanding day to day life. Haramara will hold us in our asking, in whatever intention we set, so if you say yes to this, BRING IT. Does your heart say YES? Let's chat. "Haramara itself was healing, the food was phenomenal. The whole week was exactly what I needed. The afternoon Wisdom sessions provided me with so much insight. Rachel was so generous and open hearted and every day I came away with little treasures. The whole experience was so thoughtful, a perfect balance of connecting with others and time for my own introspection. The ideas shared were profound and touched my heart in ways I know I will remember. If you have severe physical limitations, Haramara may be too rugged for you. If you have questions about this ask me. If you tend to blame others, yourself and external life for your experience of living instead of being open to new perspectives, this is not for you. If you think you already know all there is to know about your body, about love, about relationships, about spirituality, about embodiment, about empowerment, about the feminine, the masculine, the elements….then your cup is already full and this experience is not for you. But, thank you SO very much for your interest! I can't wait to hear. Let’s claim it together. 7 nights lodging in beautiful, hand built, open air accommodations nestled in the jungle, on sacred land overlooking the ocean (including sales and lodging taxes.) You can check out Haramara here. Daily morning meditation, and movement. Three gourmet, locally-sourced, organic, gluten-free meals daily. All food sensitivities are honored and the gorgeous food here is medicine of its own! Fresh filtered water in all casitas, teas and juices with meals. Lot's of Play and REST...this is self defined, but you'll have loads of YOU time! Re-Connection, new connections. A waking up of more health & vitality and a deeper relationship with yourself. Surprise goodies. I love to cherish my friends, new and old. Use of the yoga shalas, beach, infinity pool and grounds. Plenty of time for spa treatments, naps and local adventuring. What’s not included: Travel expenses, spa treatments and off site activities. Please do your best to book yourself on a flight that arrives in Puerto Vallarta in the morning or early afternoon of Feb 16th and departs after 10am on the 23rd. Schedule a chat with me if you are interested in this beautiful week of restoration. Please send your inquiry to: drracheleppinga@gmail.com with subject “Haramara Retreat”, or schedule a time below. I will be interviewing all participants to create the best experience possible for you. Final payment is due by Dec 31, 2018. Refunds are available 60 days PRIOR to the retreat (12/16/18), less a $500 administration fee per registrant. Cancellations WITHIN 60 days of retreat will not receive a refund. I wish we could compensate people for unforeseen circumstances (injury, family emergency, etc.) but we have costs already incurred when reserving retreat centers. It is encouraged you purchase travel insurance. Let’s come together at Haramara, expand our perspective, plant new seeds of intention and watch what unfolds in just one short week. What is revealed may more than delight you. P.S. There’s a FULL MOON on Feb. 19th! Potent light magic awaits. I've experienced the full moon at Haramara and it is beyond amazing. You are light & my light sees you. I sit comfortably in trust that you will listen to the call of your heart’s desire to be nourished and nurtured and that your soul’s YES will guide all who are meant to be together on this adventure. OH Goodness is it going to be FUN!!! !